This report marks 25 years of collective work anchored by community and university collaborations that have impacted the lives of children, youth and families and altered the trajectory of communities. Since its inception in 1990, the Rutgers–Camden Community Leadership Center (CLC) has been a key catalyst in redefining the role Rutgers University-Camden plays in collaborating with our local community. Our campus has become an anchor to launch successful community development projects that contribute to neighborhood transformation. 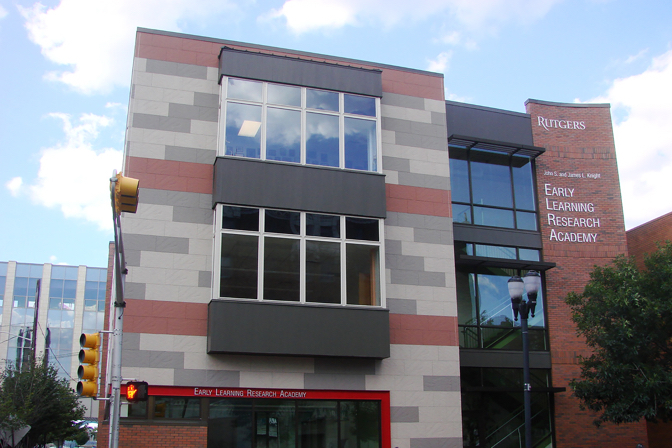 The Rutgers CLC’s work has enhanced these institutional efforts to improve the economic, social, and cultural well-being of our now-vibrant Cooper Street Education Corridor. Our success in engaging the community and strengthening the collaborative ties with local residents and institutions has been our greatest reward. This report captures and highlights CLC’s major initiatives during the 2017-2018 year while also reflecting on its 25-year trajectory of building and sustaining community development efforts for the city that lead to improved educational outcomes for children from birth through adulthood and strengthened social and community capitals that sustain families and neighborhoods. The impact of our work is evident in residents’ improved quality of life and the promotion of solidarity and agency, which has allowed people in Camden to live and work according to their own meaning and arrangements. The Camden community with whom we work has a clear sense of purpose and participation where residents own their personal situation and are constantly working to rebuild and inspire others to pool their knowledge, talents, aspirations, and political will toward the sustainable well-being of their community. Collectively, we have accomplished this through the Rutgers CLC’s efforts and by drawing on university-community assets, resources and pathways. Our theory of action has centered on the belief that improving outcomes for young people and families with limited resources and opportunities necessitates the transformation of schools into entire communities where all children can experience an excellent educational system with caring adults in all areas of their lives, safe places, a healthy start and healthy development, and opportunities to learn, grow and prosper. The Rutgers CLC’s focus has been on communities that are in need or struggling to sustain themselves, whether they are located regionally or globally. We selected a city (Camden) and place (Cooper Street) where the CLC and community could work closely together collectively to develop and implement meaningful programs that change people’s lives. CLC approach to transformational change is built upon six pillars: (1) Infant to college educational continuum; (2) School as the nexus for community development and transformation; (3) community wellness and leadership development; (4) capacity building training and experiential learning programs for our college student population; (5) research opportunities for our faculty, graduate students; and, (6 )scaling up of best practices local and globally. A continuum of education running from early infancy through college and career readiness addresses the multiple and intersecting educational challenges in the Cooper neighborhood and city. 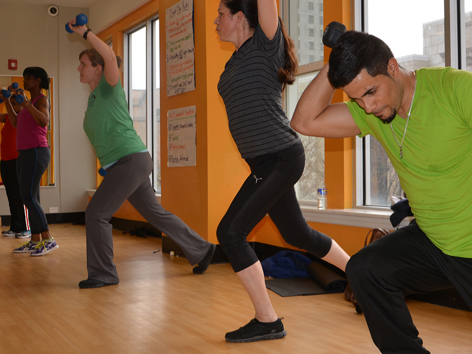 Community wellness programs help improve the health and leadership of the neighborhood’s residents, which creates ripple effects in areas ranging from school attendance to the employability and productivity of adults. Our training and capacity building programs for our college students support employment and opportunities for the neighborhood and the research agenda supports new creation of knowledge to inform the policy makers at all levels. The work and evaluation of the CLC’s impact has been framed using the Community Capitals Framework (CCF) developed by Flora, Flora & Fey (2004), which provides a validated tool to plan strategically and to measure community change. The biggest impact has been on the children and families in our community. Together, we have achieved a 100% percent high school graduation and college acceptance rates for all 14 LEAP Academy graduating classes since 2005, and in this journey, thousands of families have benefitted from our collaboration and provision of health care, parent development training, college preparation support, job placement assistance, and training that build business and entrepreneurial skills to enhance residents’ long-term self-sufficiency. Moreover, our success in strengthening the university community’s intellectual capital. It is evident in the use of CLC’s living labs to advance student teaching and high-quality research. Not only have thousands of graduate and undergraduate students gained invaluable, real-life teaching experiences in our zone of practice through internships, courses, fellowships, teacher training, and research, but also faculty and staff have conducted and disseminated research based on our educational settings and best practices. Over the years, outstanding domestic and international scholars and practitioners, artists, and educators have visited our lab to learn from our work. 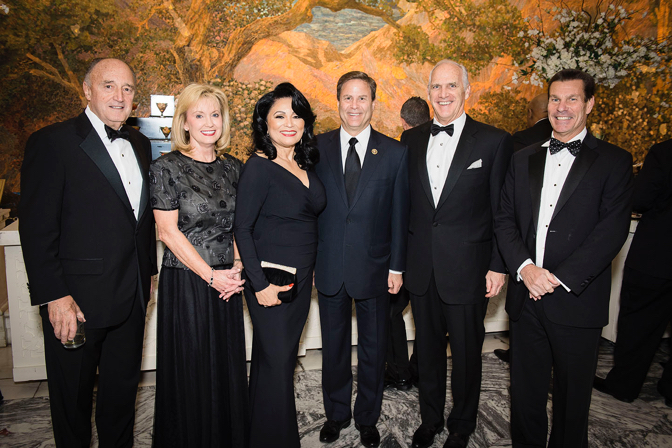 We are proud of what we are accomplishing and our impact locally, nationally and globally. As we leap into the next twenty years, we look back at our work to help illuminate new pathways forward for continued university and community collaboration by tapping on the human and intellectual capital; social, cultural, and political capital; and built, natural, and financial capital in ways that are impactful, trajectory changing and respectful of the community we work with. As we assess our tangible and visible impact, we invite you to join us in the collective movement for building a brighter, sustainable future. 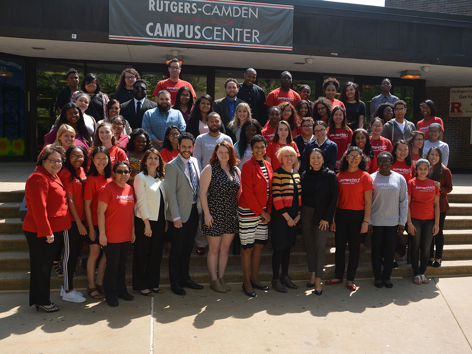 For the last 25 years, the Rutgers CLC has drawn on the social, cultural, and intellectual capitals of its host community—Camden City—to forge new pathways to success for its residents while creating academic spaces within the university to engage college students and faculty in meaningful service learning and research. Developing a birth-to-16 educational pipeline that starts with its Early Learning Research Academy (ELRA), continues through the LEAP Academy, and ends with college and career to produce over 1,000 high school graduates and an 85% college retention rate. Using the community capitals framework to redefine and repurpose Cooper Street into the dynamic educational corridor it is today. Enhancing opportunities for teaching and learning through course development and experiential learning. Implementing signature initiatives in areas of STEM, population health, community development, and the arts to prepare adults for tomorrow. Strengthening local leadership at all levels and forging productive community partnerships and empowering families to build capacity and agency. Transforming the footprint of the campus by adding the vibrant birth-to-16 sector that works collaboratively with the university. Engaging in meaningful research, public forums, and replication of new and best practices that can impact knowledge creation and dissemination. Informing and influencing public policy through advocacy, program development, and research. We learned long ago that the path to ameliorating inequality was to reach children from the time they are born, and sustain them through elementary and secondary school so that every child could graduate high school, attend college, and have a successful career. Our work at the Rutgers CLC in forging pathways that impact children’s educational trajectories is at the core of our strategy for community development. 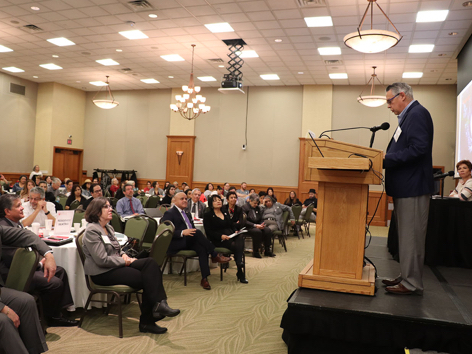 For 25 years, the Rutgers CLC has worked arduously and strategically to ensure that higher education institutions take a more active role in transitioning students from K-12 to college. For poor families who are disconnected from opportunity, this process begins with infancy and must be shepherded through K-12 and into higher education. The concept of educational pipeline development from cradle to college provides the necessary framework for our work. Our cradle to college pipeline that reaches infants and toddlers, promotes positive learning behaviors in preschool children, and prepares elementary through secondary students for successful college experiences and life beyond the academy is fundamental to our broader community development agenda. 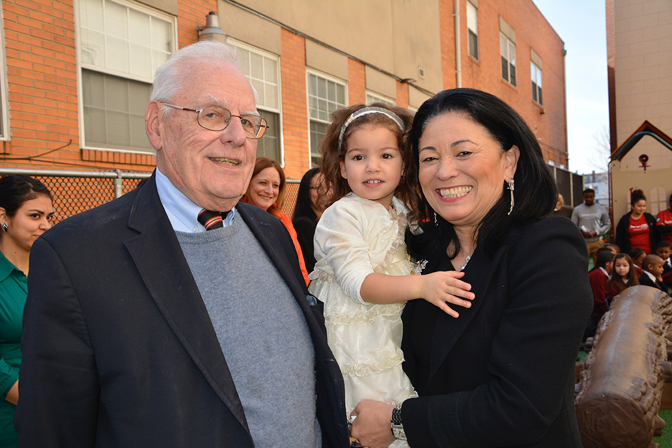 Our educational pipeline is supported by a strong investment in families and community. 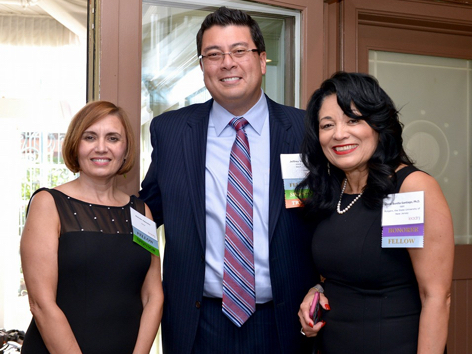 Our health and wellness center, parent development institutes, and community building events promote our collective mission of tapping existing strengths to invigorate the very community from where that talent comes. Leadership, agency, and capacity building are at the core of our efforts to build human capital for community development, as we invest in developing leaders, teachers, and parents through institutes; professional development programs and parent academies; and targeted courses that empower people to build and realize their fullest potential for personal and community growth. Our academic entrepreneurs who promote place-based learning have become an important resource for facilitating the placement of college students in service-learning courses, and in academic field experiences locally and internationally. At the core of the university’s mission, research and dissemination anchor the CLC’s efforts to engage faculty and students in work that leads to documenting best practices and discovering new classroom techniques that show promise in promoting schools as centers for community development. 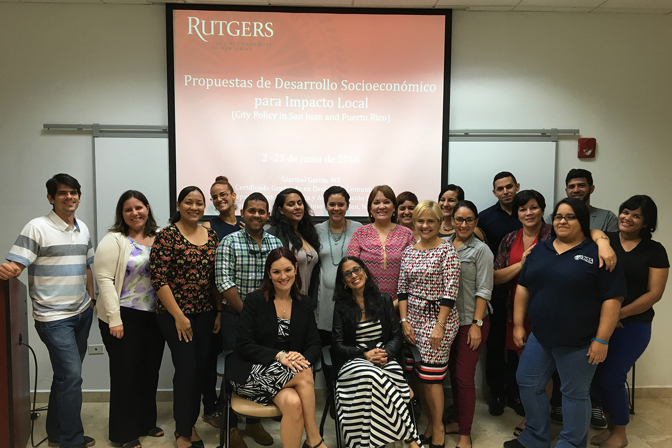 Interdisciplinary collaborations with university partners, researchers and community leaders in other countries have enabled the Rutgers CLC to create and sustain dynamic local and global partnerships with Puerto Rico, Paraguay, Cuba, Brazil, and Africa. Our partnerships have led to faculty research, symposia, course development, student and faculty exchanges, and dissemination of best practices of our work. 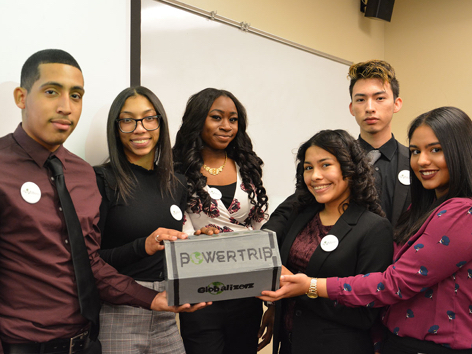 The Rutgers CLC’s signature initiative — The LEAP Enterprise Educational Pipeline — represents a national model that provides pathways for inner-city, first-generation college students to succeed in college and careers. 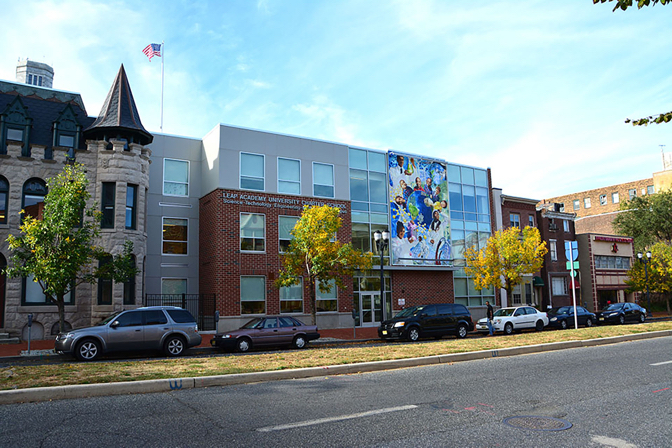 Cooper Street in Camden City is where the CLC-LEAP enterprise began its planning process as an educational corridor to build capacity in a community development pipeline from cradle to college and careers for students and families. This type of comprehensive development approach facilitates human capacity and richness in a community of people who participate and take pride and ownership in their efforts. Camden City has ample amounts of social capital. 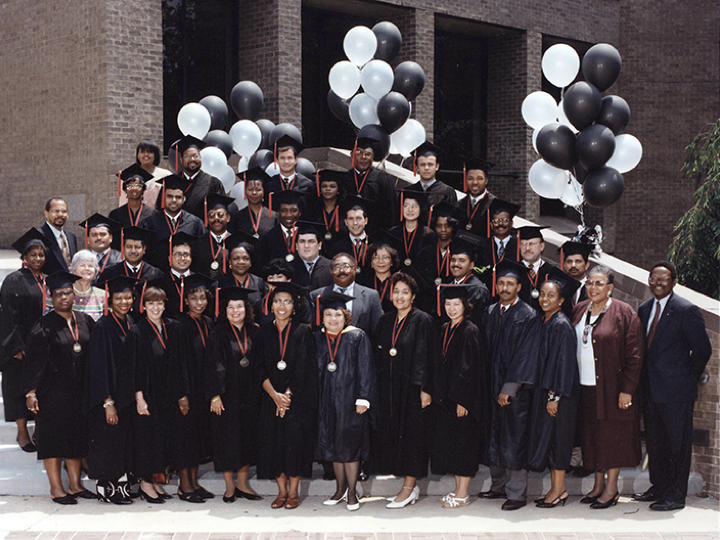 The CLC-LEAP Master Plan began in 1990 as result of the city’s poverty and depressed economic conditions. The objective of the collaborative planning process for the LEAP Enterprise, as stated in its final report, was “to create a compelling vision and critical interest for an innovative, alternative approach to serve the educational needs of the children and families of Camden.” In every facet of the endeavor, the planning always placed children and families first. The aim was to design a community development model conceptualized as cradle to college that was comprehensive enough to serve the entire community and would provide educational, human, health, legal, and business services for their families. During the school planning and design process, a physical design working group with architects among its members identified a space for the community. Consequently, four buildings were renovated in the historic district of Cooper Street as part of the development project. Two sites were built new. 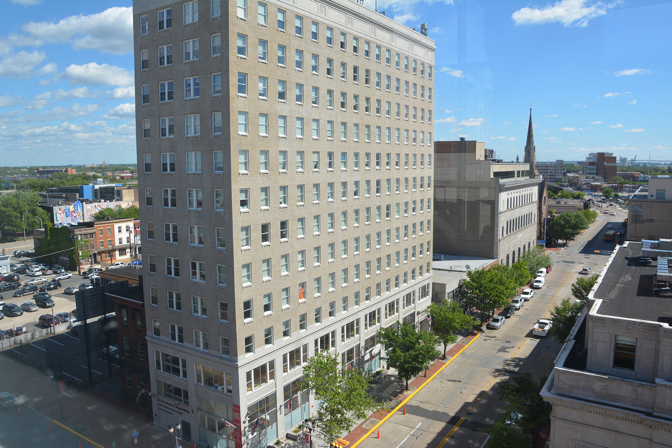 Over the last 25 years, the beauty of Camden’s historic buildings was preserved and structures were revitalized as places of learning and community connection. In 2008, two school buildings occupied 116,736 square feet of space; by 2017, four state-of-the art facilities that are as impressive outside as they are inside occupied 227,736 square feet. 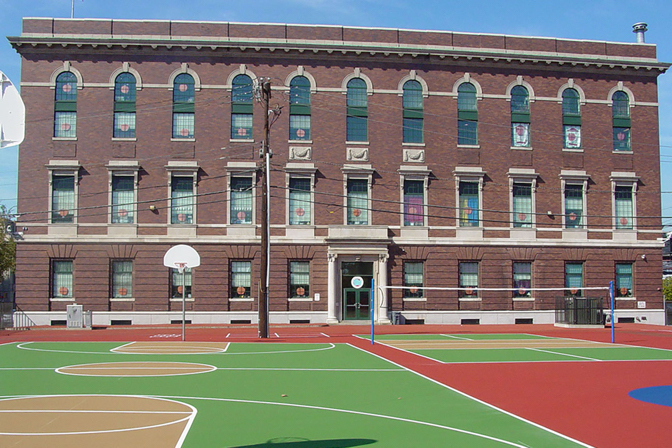 By constructing and revitalizing six buildings along Cooper Street that now serve as educational hubs of opportunity, the Rutgers CLC has preserved Camden’s history and simultaneously maximized its existing built capital by addressing the current and future needs of the community. Our presence has also increased the real estate value of the surrounding neighborhood, and the investment made to repurpose vacant land and buildings will continue to pay off for years to come. 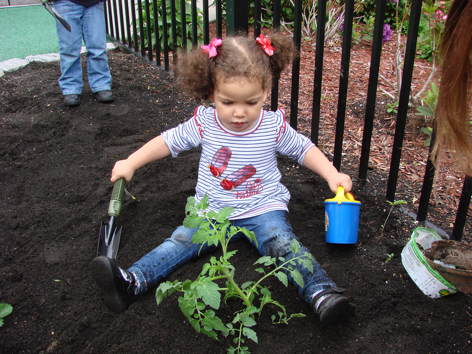 Our efforts to create clean and healthy spaces in Camden that are conducive to positive learning environments have earned us commendation from the Environmental Protection Agency. Together, with the community, we have erected playgrounds, cleaned vacant lots, and planted gardens that not only beautify the environs, but lead to cleaner bills of health than before we took action. These efforts, in turn, pique interest in moving into the neighborhood, help increase property values, and reduce the probability of further blight. By tapping and expanding on Camden’s existing natural community capital, the Rutgers CLC beautified the surrounding physical environment and showed our respect for the spaces where we play, work, and live. We have embedded our strategies to work with the region’s natural capital directly in an inquiry-based curriculum that offers outdoor learning opportunities. 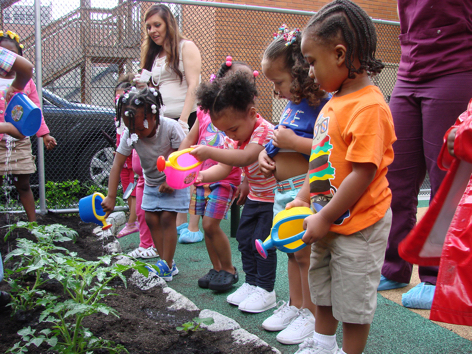 In 2017, for example, the Rutgers CLC secured a $50,000 grant from State Farm’s Youth Advisory Board to continue LEAP Academy students’ practice of planting seeds in city containers with fresh soil. This student-driven urban farming project earned the Rutgers-Newark’s 2015 Social Justice Challenge award for addressing Camden’s “food desert,” a term applied by the United States Department of Agriculture, to describe our region for the lack of access to healthy foods. In this way, we change the natural environment, educate residents about nutrition, and empower students. The Rutgers CLC has created opportunities for fostering urban leaders, improving schools’ capacities through professional development, and collaborating with partners locally and globally to strengthen communities while also providing meaningful learning opportunities for Rutgers students and faculty. Building a network of urban leaders statewide: Programs geared at developing local leadership anchored the early years of the Rutgers CLC. 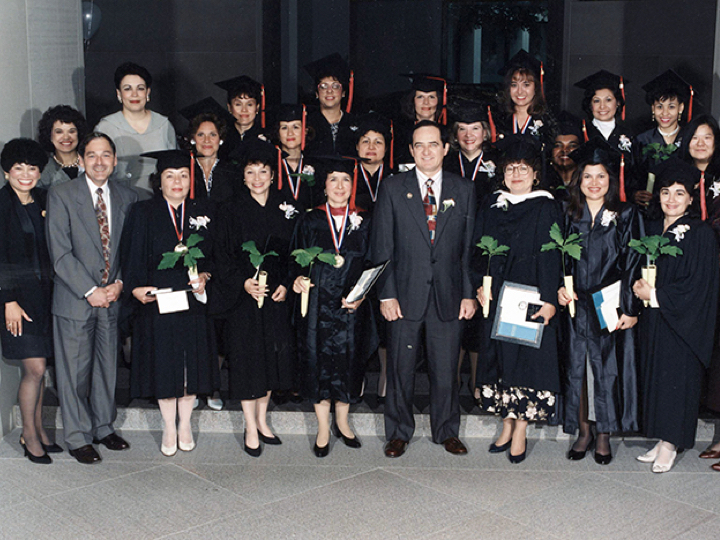 Early work in this area included opening the Hispanic Women’s Leadership Institute, which prepared over 500 Latinas in New Jersey for positions of leadership, and the Leadership Management for Urban Executives Institute, which brought together emerging leaders from diverse backgrounds to tackle the challenges of urban development issues, while addressing ethnic conflict in densely populated communities. The Latino Fellows Institute prepared young Latino college students for careers in government and non-profits. These early initiatives established the Rutgers CLC as a hub of leadership development and paved the way for creating more programs in New Jersey, the region, and abroad. Over the years, these programs have evolved into more targeted efforts addressing the needs for working with teachers, school leaders and community leaders in select communities. Programs such as the Teacher Development Leadership Institute and the School Leadership Academy were developed parallel to the CLC’s work in education. At a community based level, work with parents resulted in the Parents Academy for School Reform and the Health Education Literacy Program. Over 10,000 individuals have benefited from these programs. 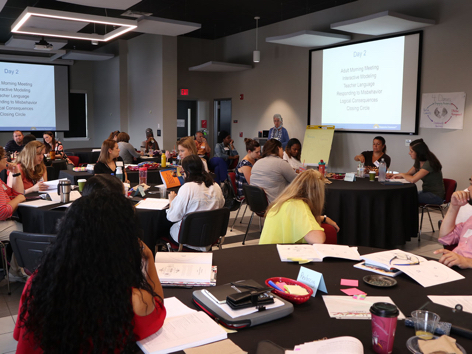 Building Capacity for Schools: Building capacity for schools provided a new platform for the professional development efforts of the CLC. A partnership with the Camden Board of Education and the Rutgers’s Department of Public Policy and Administration facilitated the development of the Educational Leadership and Policy academic specialization under the Masters of Public Administration program to increase the capacity of emerging and veteran school leaders for the Camden Public School District. 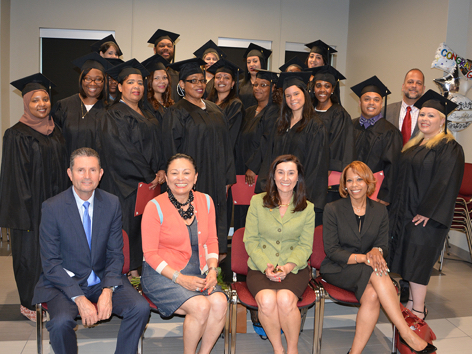 This effort produced principal candidates with the academic credential to serve schools all over the city. We also offered a parallel Academy for School Leaders to ensure that continuity and sustainability of school leadership is in place. 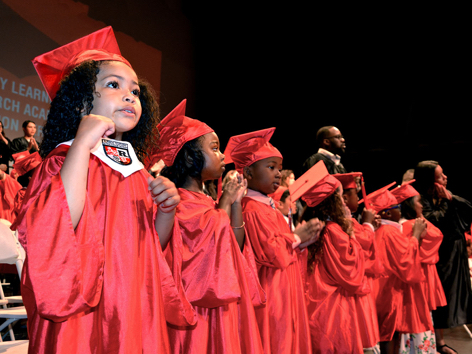 Thanks to support from the Knight Foundation and William Penn Foundation, the CLC also launched the Rutgers-Camden Early Childhood Literacy Initiative to engage teachers, instructional assistants, program directors, and parents to improve the rigor, effectiveness, and impact of pre-school education in Camden. 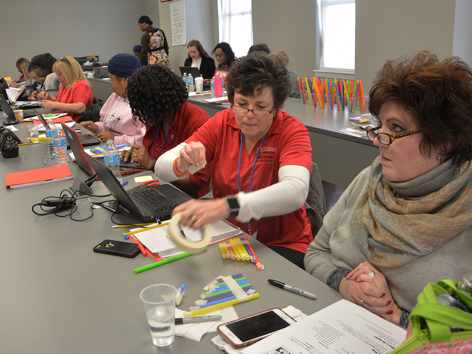 Most recently, between 2016 and 2018, our Rutgers-Camden Teacher Development and Performance Institute for Mathematics—a mathematics-science partnership funded by the New Jersey Department of Education—enabled us to enhance educators’ skills and abilities to improve math teaching and learning in the early grades. Evidence from independent evaluators has shown significant growth in teachers’ pedagogical content for teaching over the course of the Institute, which is very promising. 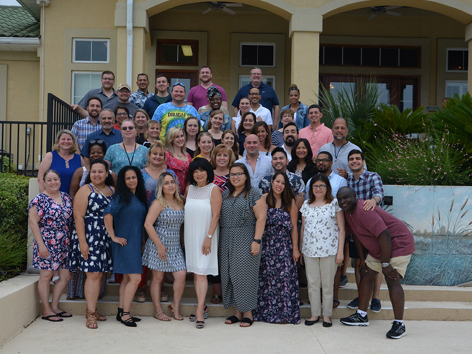 30 teachers completed the two-year program in 2018 and logged 80 hours of professional development, which included intensive, summer institute learning as well as professional development throughout the school year. Aware that the best leaders are cultivated from within the ranks, we launched the Teacher Fellows Institute for the LEAP Academy that invites talented, emerging teachers to work with our team as a fellow before teaching full-time. Fellows hone their skills and strengthen social connections to other professionals on whom they can call, if needed, in the future. 40 fellows have participated in the program since 2016. Through the LEAP Teacher Professional Development Institute, the CLC is also helping teachers activate their social capital through professional development that empowers them to share best practices and allows a safe space for frank discussions about the effectiveness of strategies, where to find additional resources, and how to serve as ambassadors, coaches, or leaders in education. In 2017, the Rutgers-Camden English Department joined this effort by developing a comprehensive training targeting English Language Arts teaching and learning from K-12. Rutgers faculty was on hand working with LEAP teachers as they strengthened the rigor and diversified the strategies for English instruction. 60 teachers were reached through this effort. Pampanos Verdes, a recycling initiative in the Ramos Antonini public housing project. Development of a strategic plan for Iniciativa Communitaria, a comprehensive health services organization for HIV/AIDS patients. Development of the Canciones de Cuna Project, a capacity building program for the prevention of teenage pregnancy. Development of an evaluation system for the Enlace Community organization. ecuring resources and building organizational capacity for Caras de las Américas: Vietnam Estudia, a community project in the Vietnam community to promote the importance of education in youngsters. Development of Redes de Oro, a community initiative to work with the elderly residents in various public housing projects. The work with the Centro para Puerto Rico extends into key strategic areas at the forefront of the development agenda for Puerto Rico. These efforts have gained urgency in the post-Hurricane Maria period. On March 30, 2018, the CLC sponsored an important symposium – “A Call to Action: Future Challenges for a New Puerto Rico.” This gathering provided an opportunity for bringing experts, scholars, practitioners, political and economic leaders around the table to discuss the nature of the impact of Hurricane Maria in Puerto Rico as well as the United States. 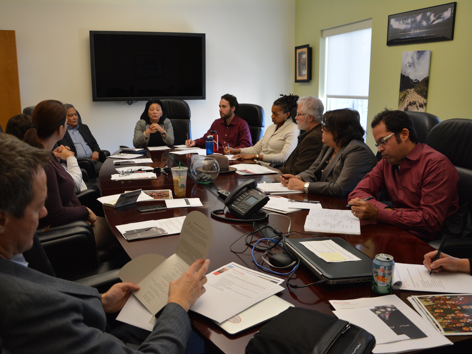 It allowed the CLC to establish a platform to engage in a fluid dialogue about the challenges and opportunities inherent in Puerto Rico’s future. The expert panel included: Heidie Calero, a Puerto Rico based economist; Juan D. González, Professor, Journalism and Media Studies, Rutgers University, and Co-host of “Democracy Now!”; Wilma E. Reverón Collazo, Co-President, Hostosian National Independence Movement; Hector R. Cordero-Guzman, Ph.D., Professor Marxe School of Public and International Affairs, Baruch College, City University of New York; and Dennis Roman, Ph.D., President and CEO, Center for Puerto Rico. On October 15, 2018, the CLC is hosting a follow-up symposium to discuss more concrete actions on what can be done to re-imagine, re-invent, re-shape, and re-think Puerto Rico around the issues of education, health, energy, security and the economy, as Puerto Rico transitions into a pivotal time for its future. The discussion will focus on actions that will best contribute to the re-birth of Puerto Rico and how we can capitalize on the growing Puerto Rican diaspora and what it represents for the future of Puerto Rico. Featured speakers are: the Honorable Eduardo Bhatia, Senator and Past President of the Puerto Rico Senate; Dr. Jorge Haddock, President of the University of Puerto Rico; Dr. Edwin Melendez, Director for the Center for Puerto Rican Studies and Professor of Urban Affairs Planning at Hunter College; and the Honorable Nelson Diaz, Partner with the Dilworth Paxson Law Firm, former Judge and author of a new released memoir—Not from Here, Not from There/No Soy de Aqui ni de Alla. The Rutgers CLC provides oversight and manages the educational pipeline which begins at ELRA and continues to LEAP and Early College. The Rutgers CLC-Early Learning Research Academy (ELRA), which serves more than 300 infants, toddlers, and preschool children through key, developmentally appropriate curricula, anchors the Rutgers/LEAP Educational Pipeline. During 2017-2018, our CLC-ELRA program received accreditation from the National Association of the Education of Young Children (NAEYC), the highest recognition of excellence in early childhood education in the United States. 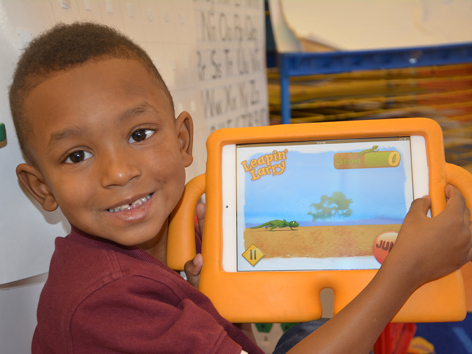 The academic program for the infants through three-year olds emphasizes personalized care and literacy-rich environments. The preschool curriculum for children aged three to five years stresses further development of children’s language and mathematical skills and provides opportunities for igniting scientific curiosity, enhancing a sense of stewardship for the surrounding world, and fostering an appreciation for the arts. 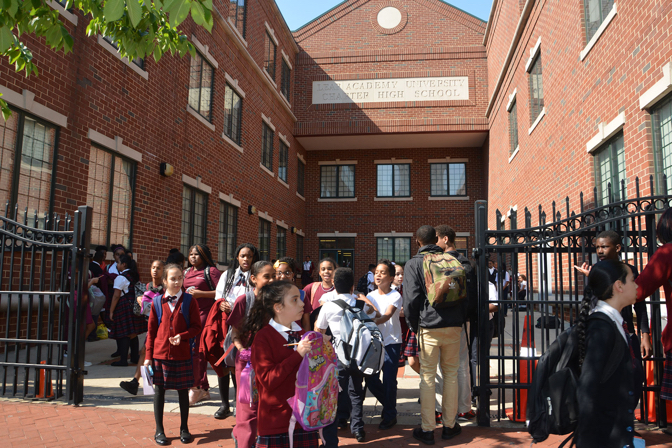 The development of LEAP Academy University School—the first charter school in Camden City and one of the first 13 in New Jersey—provided the Rutgers CLC with a vehicle for impacting educational outcomes for children and youth all over the city. 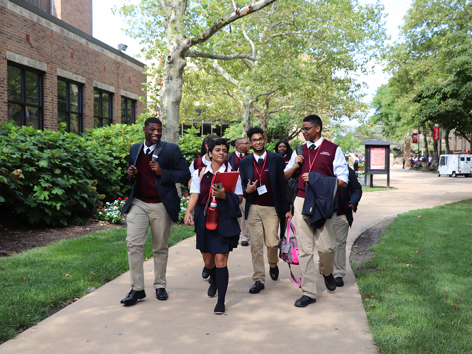 With over 1,000 alumni and serving 2,000 students every year, LEAP has become a leading force in providing college access and preparation for students whose chances of entering higher education are hindered by underperforming K-12 systems and low expectations for achievement. LEAP Academy builds on the early education program and provides a comprehensive college-preparation curriculum that sets students in a college trajectory starting in Kindergarten through high school. 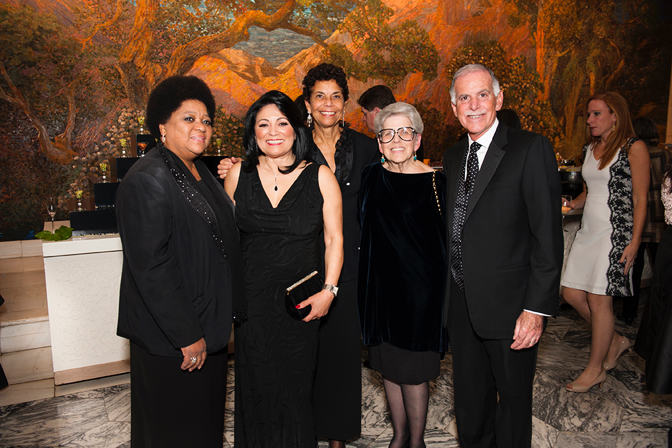 Over the years, LEAP’s educational philosophy has maintained a dual focus on closing the achievement gap and ensuring college preparation and completion for African-American and Latino students who are poor and mostly first-generation college students. The partnership with Rutgers University has allowed for record numbers of students to enroll and graduate from Rutgers University, particularly from its Camden Campus. Our emphasis on college access throughout the entire Rutgers/LEAP pipeline makes the CLC’s efforts strategically significant for the university. The University’s strategic priorities and its Bridging the Gap Initiative make the work at LEAP extremely significant. In anchoring our collective work, we have purposely placed college and career readiness at the center of the school’s organizational structure through a focus on high expectations for all students, educators, and families. College readiness is not only embedded in the curriculum, but is also the cornerstone of the development of programmatic structures that support the path and preparation of students through the pre K-12 program to college. Full-time staff who work alongside principals and other instructional staff in the College Access Centers located in each school building spearheaded the necessary support and work to align efforts with Rutgers and other partnering higher education institutions. The goal is to provide students with a variety of programs that enrich their experience at LEAP and prepare them to become better students, have a better understanding of careers, and to work on non-cognitive “soft skills” that are so important for a student to be successful in college, career and life. 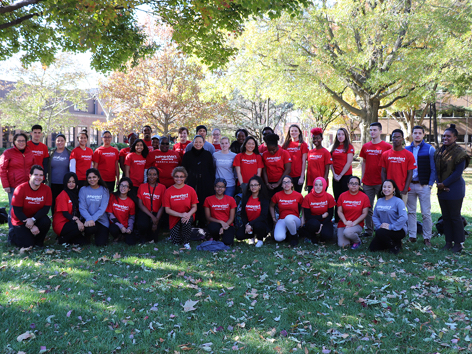 In 2017-2018, LEAP launched the Early College Program and engaged Rutgers University and Rowan University in articulating a program that provides the opportunity for the entire LEAP senior class to enroll in college-level courses for the entire year. 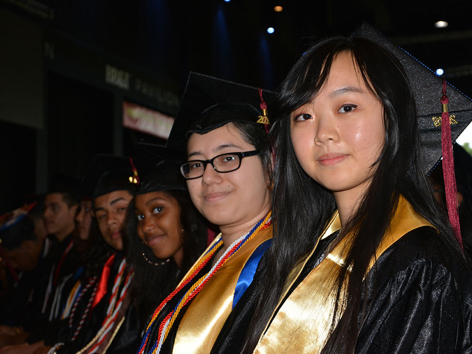 The results have been beyond our expectations, with LEAP students earning up to 30 college credits. The strategy of teaming up university faculty with LEAP faculty to co-construct the courses and working with the LEAP teacher in the capacity of recitation leader has proven to be an effective strategy for reinventing the senior year. Completing college courses and interacting with college students motivates our younger students and enables them to envision a reality as someone who owns his or her bright future. 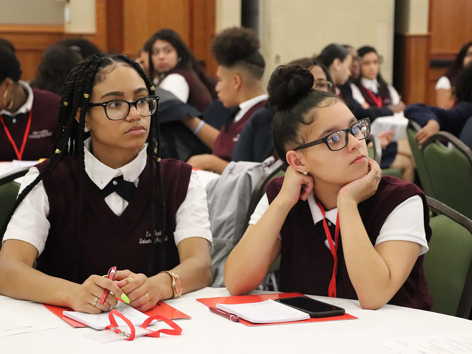 The Rutgers CLC and Centers of Excellence function as an integrated, comprehensive system that is built on a rigorous college preparation curriculum and a portfolio of supports to address the challenges of fragile neighborhoods from health to school success through an integrated approach. The Rutgers CLC plays a fundamental role in developing, structuring, and sustaining these centers to ensure that the university continues to innovate, strengthen its relevance, and align to community needs. An asset-building focus for families: The work around families stems from a community-driven process based on a collective vision. 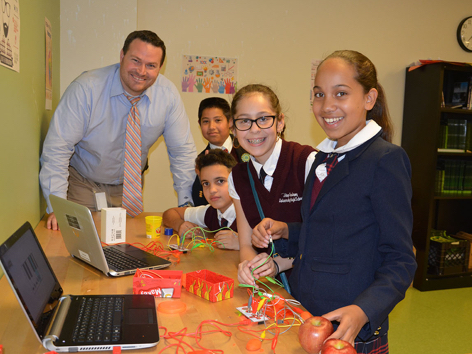 Through the Parents Academy and the various programs offered on-site, we are providing the opportunity for an expanded vision of the school community that builds on individual strengths, assets and talents, and the combined capacities of all stakeholders. Using an asset-based community development approach, we are ensuring that the human and cultural capital of the schools coalesced in ensuring that students reach their full potential. During the Rutgers CLC’s early days of asset mapping and community development planning, parent focus group participants identified many important needs in their community. These discussions—and a shared perspective that parental engagement is crucial to creating and sustaining the birth-to-college pipeline—shaped the development of a City Parent Academy that has engaged and trained hundreds of parents. 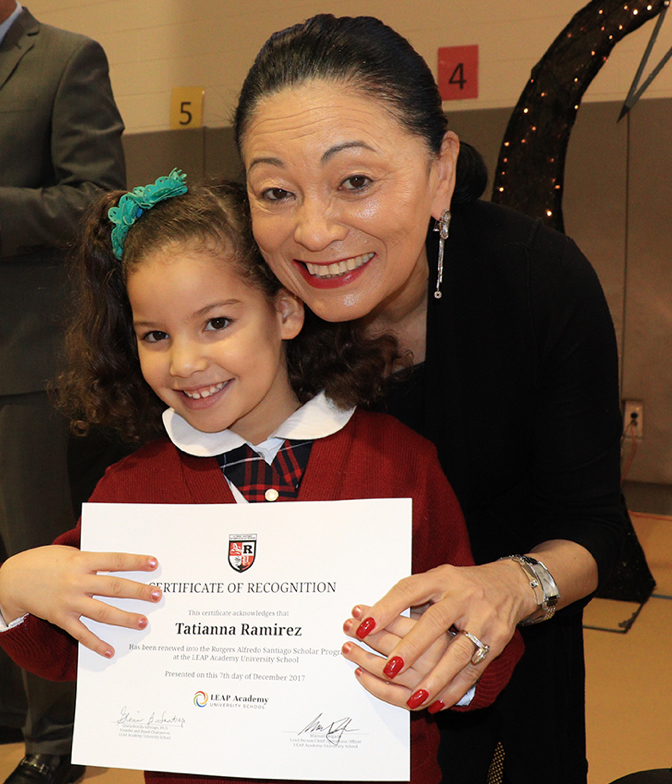 Today, we continue to cultivate parents as leaders and facilitate stronger family engagement in the school community. Parents who now lobby the government about school reform have a parent council that represent 5,000 families. Since 1997, we have collaborated with more than 5,000 Camden parents whose involvement in their children’s education we codified into a contract. Parents completed trainings that a majority reported had improved their family’s ability to read, write, and perform mathematics because of their increased educational involvement, and over 300 parents earned certification to serve as Parent Partner Trainers so that they could help others excel too. Family Health and Wellness Center: The Rutgers CLC has also deepened the public’s knowledge of health and wellness issues by serving as a resource and care provider. 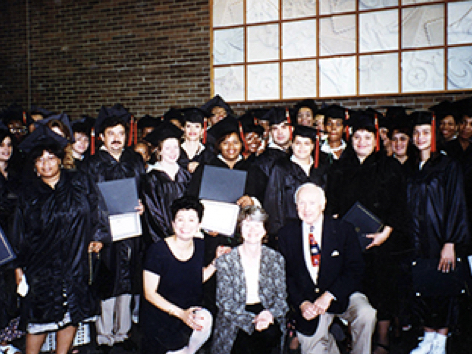 Back in 1998, the Rutgers CLC Centers of Excellence began providing health and human services to our school community. We demonstrated a genuine respect for Camden residents and recognized the need to help families obtain quality health care. In 2017, we scaled up our health and wellness initiatives by receiving a license to operate a school-based health center staffed with a full-time pediatric doctor and medical personnel, a director for prevention, wellness and behavior counseling, two social workers, one culture and climate specialist, and one parent coordinator of programs and administrative staff to support the entire center. In less than one year, the LEAP Health and Wellness Center enrolled thousands of patients in the clinic and provided support to 2,000 families in receiving social and behavioral support in the counseling office. This is the pediatric and health and wellness home for many of these families. On average, the clinic enrolls 290 new patients per month; medical staff conduct necessary screenings, give injections, care for new and returning patients, and provide post-natal care to some new parents in the community. The Family and Student Support Center provides daily seminars, interventions and counseling services to our children and families. STEM and Innovation Embedded into the School and Community: The Fabrication Lab is at the epicenter of innovation at the school. The state-of-the-art Rutgers CLC/LEAP “FabLab” serves as a launch pad for discovery where students collaborate to design, test, and apply innovative solutions to real-world problems. 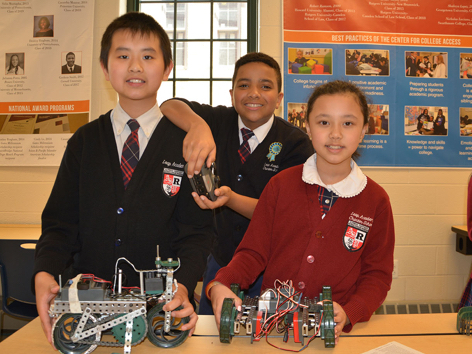 In partnership with Rutgers-Camden STEM faculty, a dynamic workspace was saturated with the technological tools and other resources needed for students to accomplish their goals. As part of the “Fab Lat Kids” Network created in 2014, LEAP students collaborate with other FabLabs across Latin America (the origin of the abbreviation “Lat”) and elsewhere in the world, including Asia, Africa, and Europe. In 2017, there were 19 FabLabs in 23 countries, nine online workshops, and two groups who won international awards for their work. Through the Fab Lab, LEAP Academy graduates enter college with previous experience in model design, creation, and interpretation; computer-aided modeling; precision digital fabrication machining; layout and planning; a solid understanding of the importance of following safety procedures; and working in teams. It is no wonder that graduates have matriculated to the Rutgers School of Engineering, Rochester Institute of Technology, and Parsons School of Design. As the number of students engaged in FabLab learning activities grows, we expect more students to choose STEM majors in college and show interest in STEM careers. 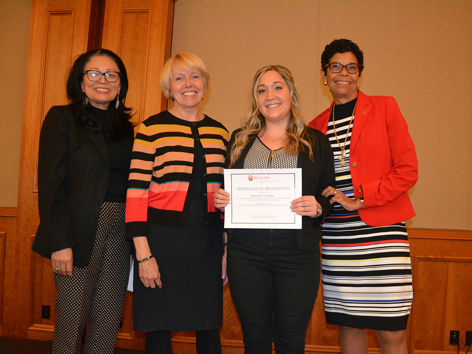 The Rutgers CLC’s ongoing partnership with AmeriCorps has enabled us to place over the years approximately 1,000 undergraduates in the Jumpstart program at our Early Learning Research Academy (ELRA). Annually, undergraduate students provide 300 hours of service throughout the full school year and earn a federal work-study award or academic credit while gaining invaluable experience helping to build young children’s literacy and social skills. At program completion, the students earn a $1,500 award to defray some of the educational costs incurred. We also offer yearly internships, fellowships, and doctoral and graduate placements for students to conduct research on the community school pipeline and public affairs issues. 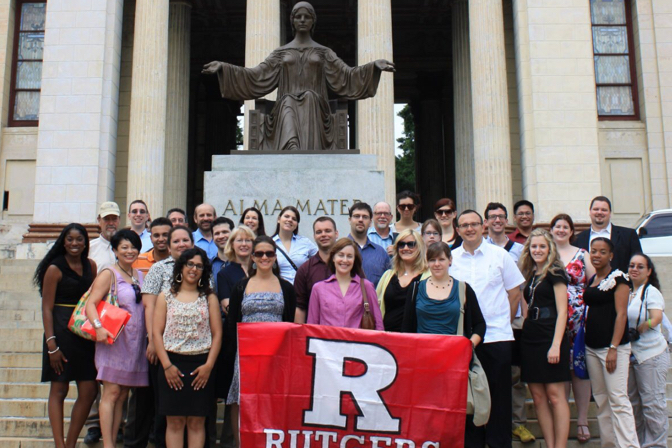 Since 2002, the Rutgers CLC has also been an academic partnership with the University of Havana and Rutgers and engaged in trips to Cuba for faculty and students focusing on urban community development that offer students and faculty enriching, life-changing educational and research and cultural experiences. Our partnership with the University of Havana and San Geronimo University has deepened over the years, and the annual trips to Cuba connect faculty and students’ classroom learning to real life experiences. Faculty engage in collaborative research and students embed content from the trip into their coursework by interviewing social movement leaders from Cuba as part of their research projects. Other experiential learning courses and seminars that we provide help students further illuminate the connections between theory and practice. Since the Rutgers CLC’s inception, we have collaborated with Rutgers academic departments to prepare undergraduate and graduate students for successful, rewarding, and meaningful careers. As the largest research and applied learning unit operating on the Rutgers-Camden campus, the CLC has collaborated with over 1,000 scholars, faculty fellows, and graduate students since our founding a half century ago. These talented individuals work with us on research initiatives in community development, education, STEM fields, population and public health, and the arts and humanities. The funding we have secured has allowed us all to connect theory and practice by conducting research in real-life settings. The cutting-edge work spearheaded by the CLC has already garnered national and international attention for representing innovative and timely contributions to the redefinition of universities as anchors for community development. As a Center located within an urban-based university, the CLC recognizes the many challenges facing cities nationally and globally and embraces a proactive, reciprocal and asset building approach to its work in broadening the education of students, improving neighborhoods and cities, collaborating with other anchors and informing and advancing new knowledge and practices in the larger society. During these 25 years of consistent work, the CLC has produced a number of research-based best practices that drive and inform its work. College Preparation, Access to Education and Capacity Building programs must prepare students and parents, starting in early learning, for the rigors of college and for developing the soft skills necessary to achieve in higher education and careers. Health and Community Wellness programs must focus on improving the health and well-being of the neighborhood residents to have a positive impact in school attendance, employability and productivity. Parent Engagement plays an active role in shaping school and community environments, which shape accountability and transparency structures of communication. Schools are the best nexus for community development and transformation capacity building. Community school work is transformational and replicable. Neighborhood school transformation is systematic and intentional. Communities must have access to greater technology to organize themselves and hold government accountable. Anchor Universities must engage in new community practices, including: responsiveness and respect for communities; transforming climate and culture of our institutions to meet the needs of neighborhoods; academic neutrality and objectivity when dealing with community; institutional integration and incentives for faculty, students and community; resource/multiple partners to share meaning and knowledge; multi-disciplinary approaches to address community challenges; creating new knowledge from practice into academia; having a sense of urgency for college readiness, equity and achievement; and using diversity as a strength and asset. Dr. J.J. Catulli (Rutgers Psychology) is working with Dr. Santiago on a research study to assess preschoolers’ transition into Kindergarten. The study, entitled, “School Readiness: Evaluating Cognitive Strengths of Preschoolers Transitioning to Kindergarten” will follow students through the LEAP educational pipeline and address issues that are especially important to the research and policy community. Dr. Lauren Daniel (Rutgers Psychology) is also working with Dr. Santiago on a cross-sectional mixed methods research study to assess the needs and knowledge of a sample of families at ELRA. This work will inform future research endeavors to understand longitudinally the relationships between and among sleep, school readiness, and early behavioral intervention. Dr. Daniel and her students are collecting qualitative data from families of children ages 1-3 years at ELRA, as well as from their teachers. Dr. Nancy Pontes (Rutgers Nursing) is collaborating with Dr. Santiago on a variety of programs all around population health and the application of community-based health approaches in vulnerable communities. She has also been actively participating in work under the Cuba/University of Havana Academic Exchange. 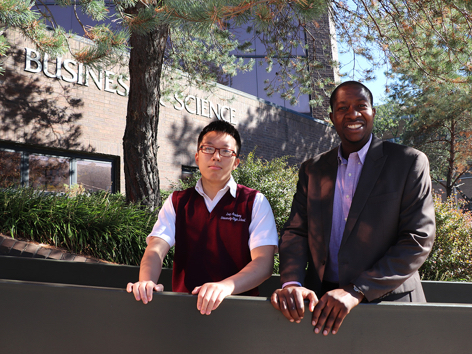 Dr. Rufan Luo (Rutgers Psychology) is working with Dr. Santiago on a longitudinal design to understand how children’s language experiences in dual-language classrooms relate to their dual-language growth. 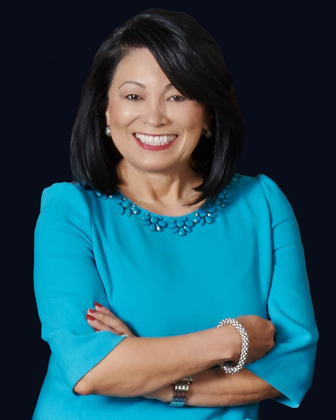 Using ELRA as a research site, Dr. Luo will observe and analyze how children develop dual-language skills from teachers, peers, and families. 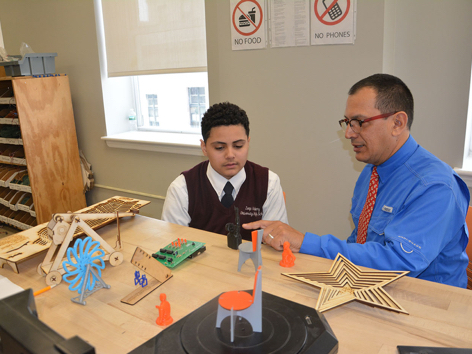 Dr. David Salas-de la Cruz (Rutgers Chemistry) has been working with Dr. Santiago on developing a variety of STEM school-based programs at LEAP Academy through the Fabrication Lab. These efforts also extend to other STEM faculty as they engage in projects that are fundable and with broad impact for both LEAP and the university. Through this effort, the CLC support 10 Rutgers fellows for research and internships. Dr. Carol Singley (Rutgers English) is working with Dr. Santiago in providing teacher training and professional development in English Language Arts. Through these efforts, other English faculty members have been enlisted to work with LEAP teachers. 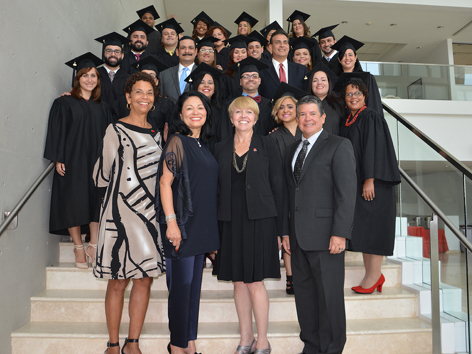 Dr. Santiago is supervising the doctoral dissertation of three students in the Ph.D. Program: Matthew Closter is doing a study on school university partnerships and the impact on community development. 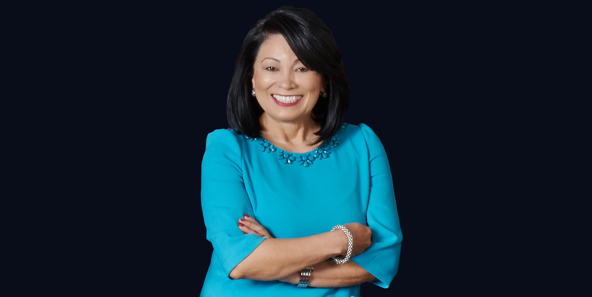 Wanda Garcia is conducting a qualitative study of the charter school movement in New Jersey. Yosmeriz Rivera is working on her research proposal on Education Opportunity Fund programs and their effectiveness in enrolling and retaining minority students. Two graduate students have been hired as full-time graduate assistants at the CLC as part of the strategy to strengthen our research arm, while providing rich academic opportunities for students. Kierstein Westley Henson, a doctoral student in Public Affairs and Community Development, is doing research with Dr. Santiago on a Collaborative Study on Cuba and Luis Oscar Alvira Gonzalez, an MPA student in Community Development is collecting data and research on the LEAP pipeline. Andrea Aguilera Ramirez, another MPA student, supported Dr. Santiago’s work in Paraguay working with the National University of Asuncion on a comprehensive community development project in a neighborhood in San Francisco. Other Ph.D. students have served as graduate assistants or part-time staff members to build the CLC’s research agenda, including: Rasheda Weaver, Ph.D., now Assistant Professor of Entrepreneurship and Innovation at Iona College; Matthew McCaffrey, now Program Coordinator for Experiential Education for Rutgers-Camden; Peggy Jean Craig, Assistant Director of K-12 Partnerships for Rutgers-Camden; and Lewis Bivona, now examining sustainable development projects throughout Camden City. 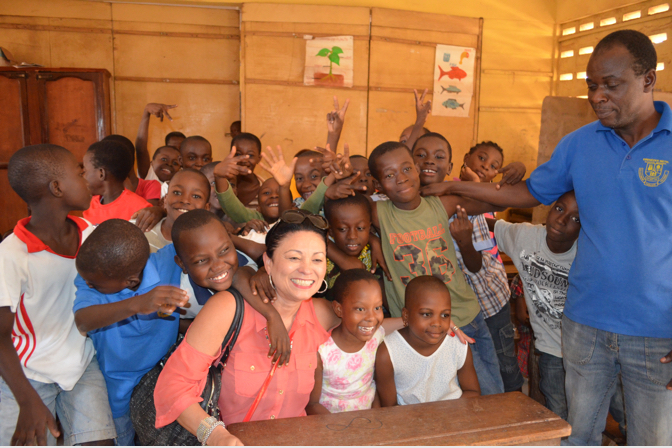 Wendy Osefo, Ph.D., is a Visiting Assistant Professor at Johns Hopkins School of Education. Wendy partnered with Dr. Santiago at the CLC researching parental participation in urban charter schools. Dr. Nancy Pontes, Ph.D., RN, FNP-BC, FNAP., Assistant Professor of Nursing, is working with Dr. Santiago on a variety of programs all around population health and the application of community-based health approaches in vulnerable communities. She has also been active in collaborative work under the Cuba/University of Havana Academic Exchange. Dr. Sheila Linz, Ph.D., PMHNP-BC., RN, Assistant Professor of Nursing, is collaborating with the CLC on a project focused on mental health shared learning in Cuba with professors at the University of Havana. The School of Law has partnered with the CLC on a variety of programs, including opportunities to expose LEAP students to the field of law and on immigration issues. The CLC worked closely with Jason Hernandez, a Rutgers Immigrants’ Rights attorney, to organize workshops for LEAP families and parents around their rights and issues pertaining to DACA and other immigration legal circumstances. In the past, Dean Jill Friedman developed a pro-bono legal clinic for Rutgers faculty to provide free services to LEAP students and families around immigration, family, and economic legal issues. She also invited LEAP students to participate in the Marshall Brennan Scholars Program where students could experience first-hand the experience of a courtroom and its inner workings, while practicing legal skills. Throughout its history, the Rutgers CLC has also hosted more than a dozen forums as part of our signature lecture series on community development and education. These events provide an opportunity for scholars to disseminate their work and interact with an engaged audience of practitioners, students, and peers in the dynamic exchange of ideas about how to foster and sustain change. For example, experts from the National Association of the Education of Young Children (NAEYC) and National Institute for Early Education Research (NIEER) spoke about the impact of early learning on community development, and guests from the New Jersey Department of Education discussed the state of charter schools in New Jersey. Dr. Mario Gonzalez-Corzo from Lehman College shared insights from his analysis of Cuban economic transformation in Cuba, and American University Cuban historian Dr. William LeoGrande presented about the obstacles and opportunities in an era of normalizing relations between the U.S. and Cuba. Locally, CLC has also co-hosted numerous events with other Rutgers University departments, including an event with the Rutgers School of Law-Camden about the juvenile justice system; a symposium on poverty, race and inequality with the department of public policy and administration; and an invited author talk with the history department. 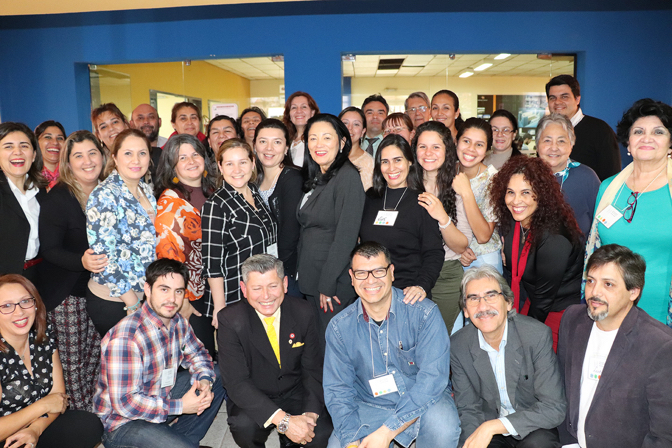 Internationally, the CLC Directors’ Fulbright Association award strengthened ties between the CLC and institutions in Paraguay and other countries, which will open doors for future partnerships between and among Rutgers students, faculty, and global scholars. “Through the CLC and LEAP, Rutgers faculty are able to translate their research into practical experiences, whether it be through education, early childhood education, or many other things, that benefit both Rutgers faculty and LEAP students." LEAP Academy builds on the early education program and provides a comprehensive college-preparation curriculum that sets students in a college trajectory starting in Kindergarten through high school. 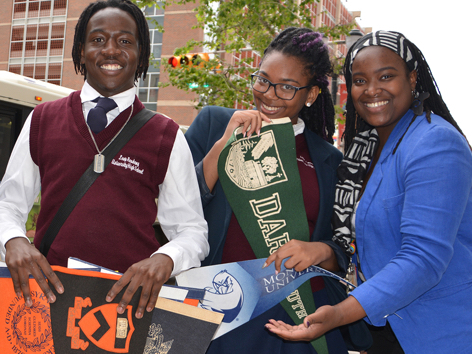 Over the years, LEAP’s educational philosophy has maintained a dual focus on closing the achievement gap and ensuring college preparation and completion for African-American and Latino students who are poor and mostly first-generation college students. The partnership with Rutgers University has allowed for a record numbers of students to enroll and graduate from Rutgers University, particularly from its Camden Campus, with Bachelor's, Master’s and Law degrees. 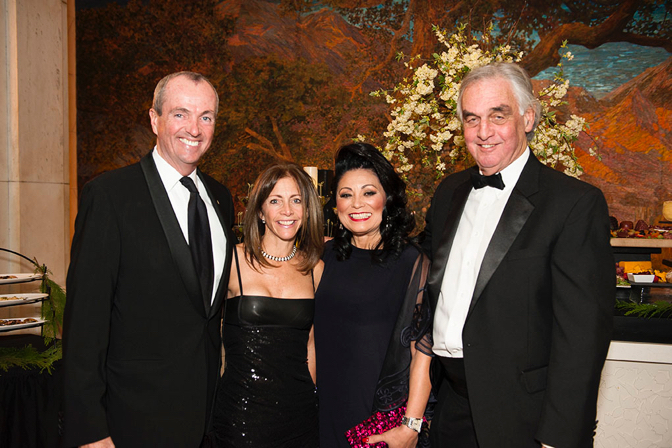 Numerous other alumni have attended and graduated with undergraduate and graduate degrees from prestigious schools, such as Princeton, the University of Pennsylvania, Villanova, Georgetown, Howard, the University of Rochester, and the Parsons School of Design. As of 2018, 240 LEAP alumni have enrolled in the University. With this year’s graduation, 12 LEAP alumni have graduated with a college degree from Rutgers University, including Master’s and Law degrees. Numerous other alumni have attended and graduated with undergraduate and graduate degrees from prestigious schools, such as Princeton, the University of Pennsylvania, Villanova, Georgetown, Howard, the University of Rochester, and the Parsons School of Design. We are especially proud of distinguished students who have earned over $1.2 million through the Rutgers Alfredo Santiago Endowed Scholarship Fund and the Peter Burke Memorial Scholarship fund that the CLC established to help correct historical inequalities in the pursuit of higher education. The Rutgers CLC has expanded its programs and academic work globally to a variety of countries, including Cuba, Puerto Rico, Paraguay, Ghana in Africa and Brazil. The timing for these kinds of academic exchange and partnership is fitting, as our institutions are rapidly becoming not only local centers for research and innovation, but also international centers to bridge the global divide and capitalize on the wealth of human capital across geographical boundaries. The research university, as we define it for the 21st century, plays a definitive role in propelling the creation and dissemination of knowledge. Understanding this role within the context of globalization is one of the key drivers for our institutions, as we operate at the nexus of science, social development, scholarship, and the new knowledge economies. Issues of equity, quality, eradication of poverty, utilization of new technologies to solve problems and to provide access, community development, population health, agriculture models, public history and the well-being of all people and preservation of our cities are at the core of our global agenda. The Cuba collaboration has continued to expand. 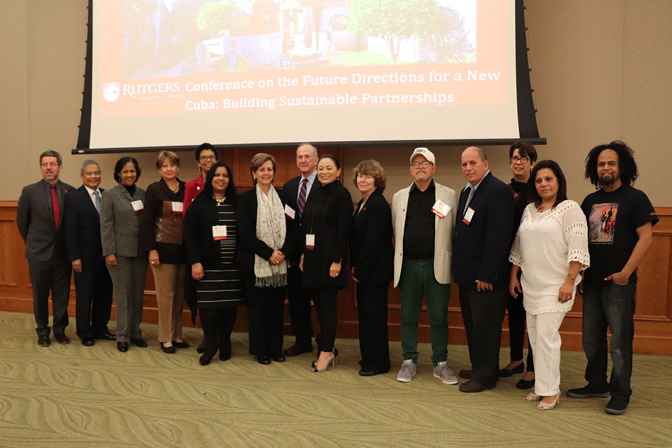 The second annual meeting and conference of the Rutgers-Cuba Collaboration occurred at Rutgers-Camden with one day of visits in New Brunswick from November 6-10, 2017. 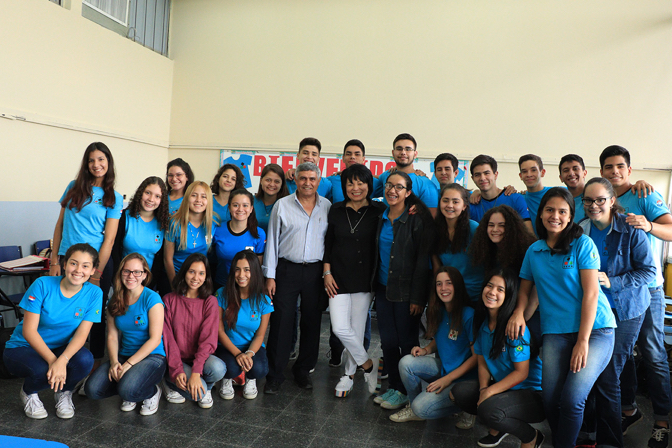 The conference was the culmination of work since the Memorandum of Understanding (MOU) between Rutgers and the University of Havana was renewed at the first conference in October 2016. 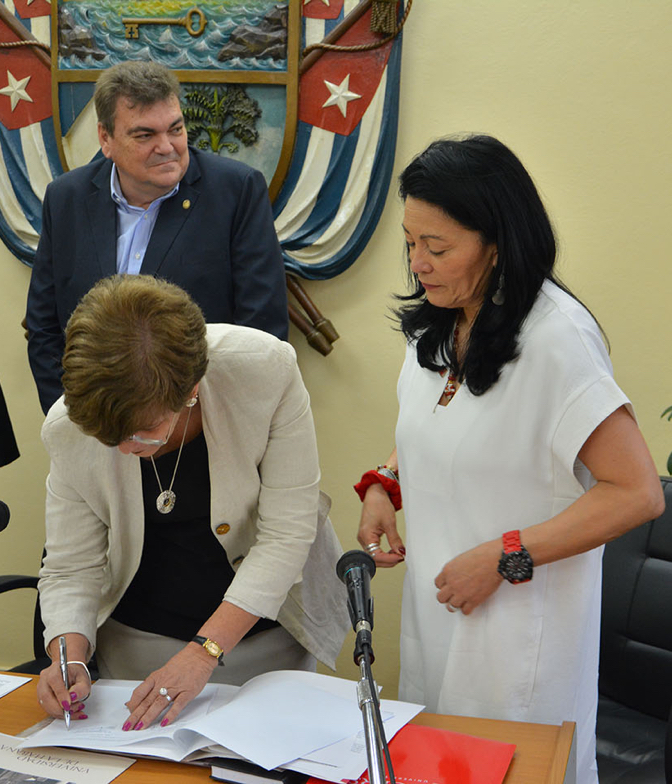 Since the MOU was signed, Rutgers and University of Havana faculty have participated in joint conferences in Cuba and the United States; designed research projects in community development, population health, and the STEM fields; traveled to Cuba to meet with counterparts; and formulated new partnerships with the University of Medical Sciences of Havana and the Office of the Historian of Old Havana. In addition, two senior faculty fellowship exchanges from the Facultad of Latin American Social Sciences (FLACSO) were established to conduct research at Rutgers-Camden under the CLC that resulted in the visits of two faculty members in 2017. 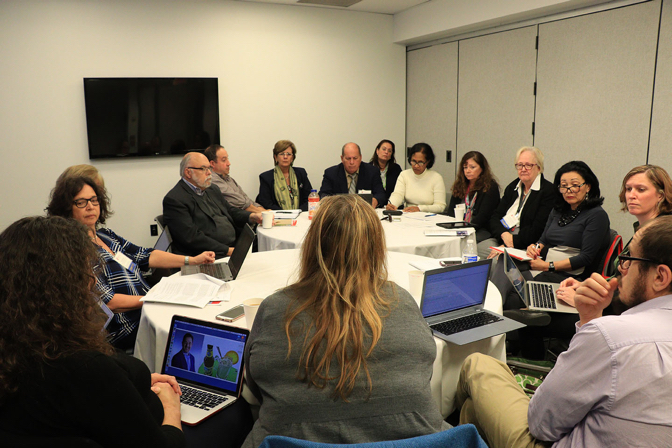 The conference provided the opportunity for faculty to reconvene to reflect on the past year of collaboration and plan for future research opportunities in the focal research areas. The multidisciplinary focus of STEM, community development, nursing, law, and arts and humanities faculty, along with invited Cuban artists, provided meaningful options for conference participants and faculty to engage along common research interests in various disciplines. 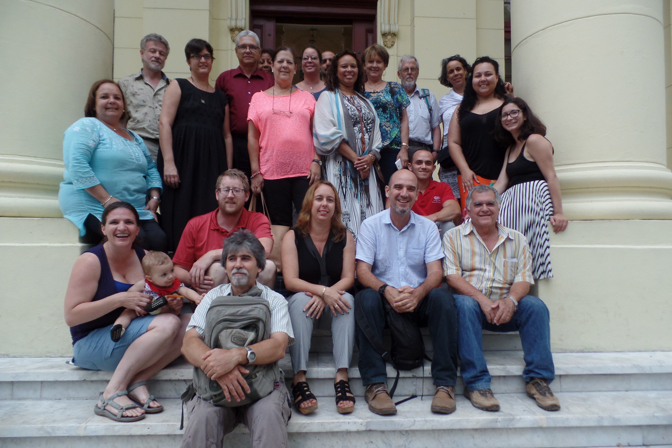 The CLC will be hosting the next annual meeting and conference in Varadero, Cuba November 3-11 on Universities as Anchors in Sustaining Community and Economic Development followed by project visits to Santa Clara, Matanzas, Cienfuegos, Trinidad and Havana. Rutgers faculty will co-present with University of Havana faculty on the ongoing research being conducted between the institutions. 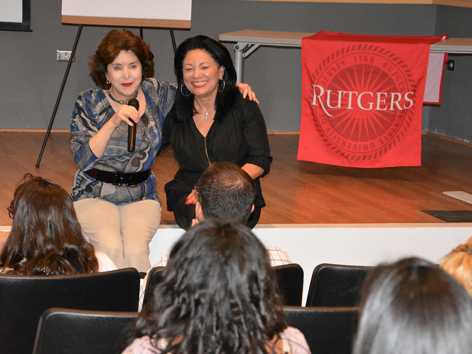 Thanks to Dr. Santiago’s Fulbright Faculty Fellowship, the Rutgers CLC has also had a presence in Paraguay. 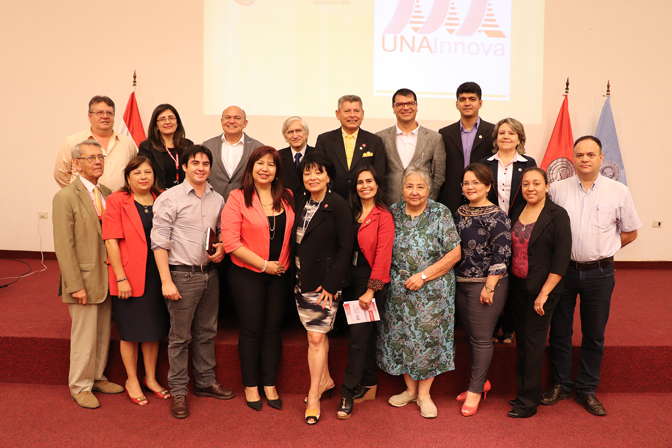 Dr. Santiago spent time with faculty at the Universidad Nacional de Asuncion in Paraguay in 2017 and 2018, and led a capacity-building process to launch a school-university partnership that will be anchored by a comprehensive neighborhood development initiative called the San Francisco Project. Since this first visit, Dr. Santiago has been working with a local coalition of organizations that include the Secretariat of Housing of Paraguay, the Itaipu Binacional, Habitat for Humanity-Paraguay and the Moises Bertoni Foundation that are collectively spearheading a transformational community initiative targeting the community of Zebalos Cue in the City of Asuncion. This comprehensive initiative addresses neighborhood development holistically and builds on an aggressive plan that includes new housing and other resources for all residents living under the worst conditions in a community known as the Chacarritas. Dr. Santiago is working with the Universidad Nacional de Asuncion in Paraguay and the local teams in developing the educational components for the entire effort, including a new school for the community. The place- and people-based project focuses on improving the neighborhood of San Francisco (the “place”) and the families and children (the “people”). The San Francisco Neighborhood Project is funded through the Bill and Melinda Gates Foundation and envisions the development of the Community Educational Center of the San Francisco Neighborhood as the umbrella for housing all of the educational activities and where a new community school will serve as the anchor for bringing the entire community together and providing quality educational programs for its children and youth. 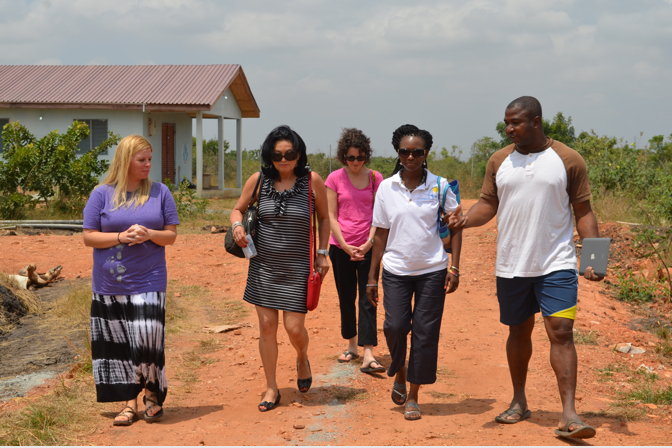 In Accra, Ghana, Dr. Santiago was invited by the Ministry of Education and a local foundation to work on school development as part of a comprehensive effort for removing poverty through community based solutions and social enterprise ventures. The interest has been on using the LEAP Enterprise as a powerful model for building the learning corridors among regions across geographical areas. 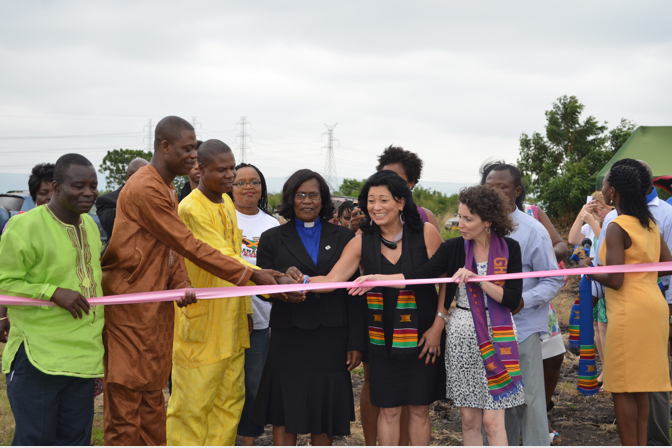 The work spearheaded by Dr. Santiago through the Rutgers CLC and its focus on anchoring and institutional partnerships has proven to be a good model with replicability potential in places like Accra. 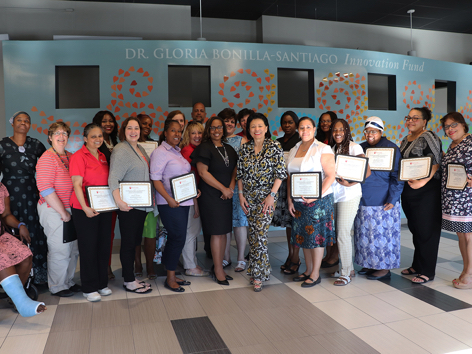 Dr. Santiago spent two summers working with community and stakeholders to facilitate the design and strategy for systemic improvement in creating new schools. Partner, Archer and Greiner P.C. Editor, AL DIA News Inc. The CLC is thankful for the foundations, corporations and individual donors that have supported its programs and endowed funds over the years. Blue Stripes Property Management Inc.
Phillip D. Kunz Architects, Inc.
Camden Iron & Metal, Inc.
Alfredo Santiago Scholarship Fund is given to infants to college as incentives to stay in school.